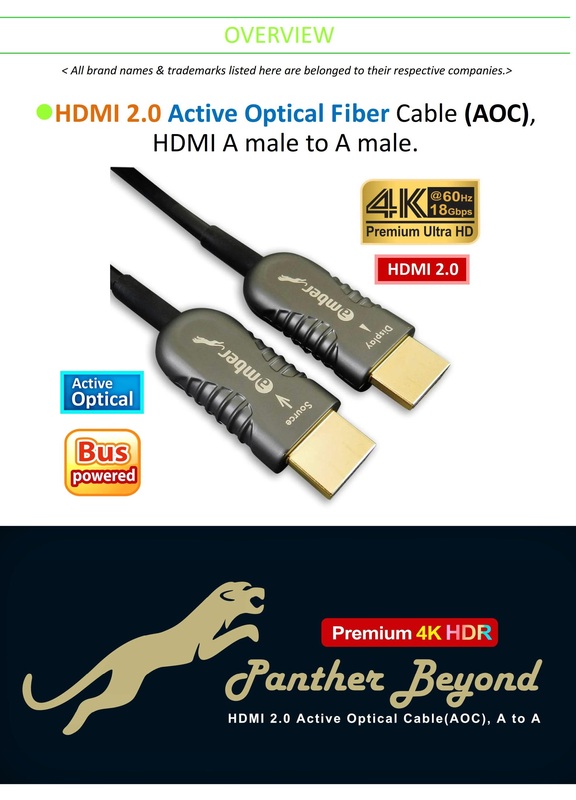 *HDMI 2.0Active Optical Fiber Cable (AOC),HDMI A male to A male. 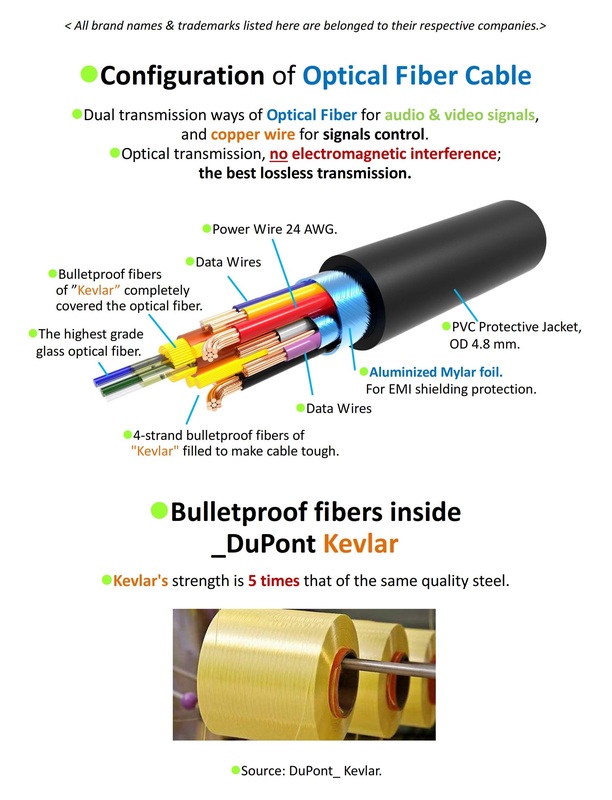 *Dual transmission ways ofOptical Fiber for audio & video signals,and copper wire for signals control. 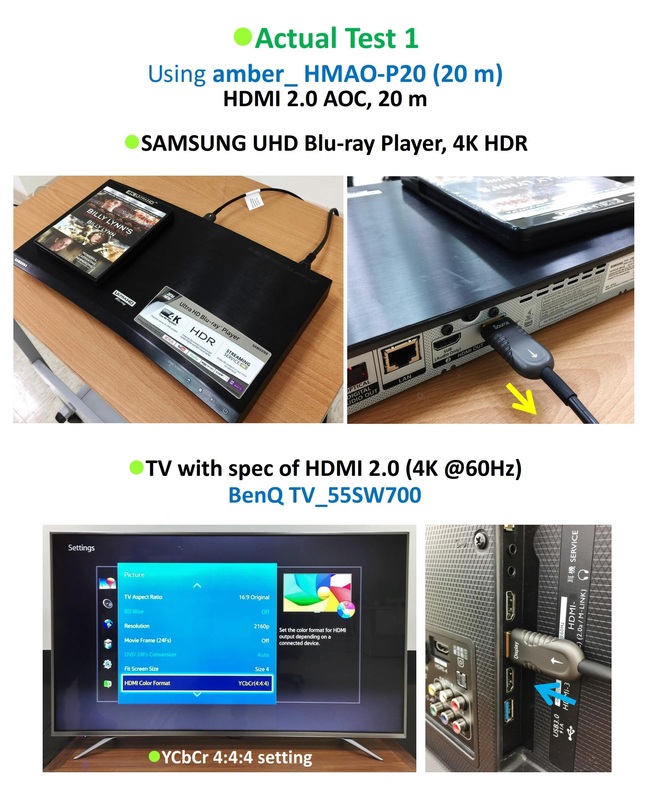 *Built-in high-tech transmission controller of "electric to optical signals", and "optical to electric signals" . 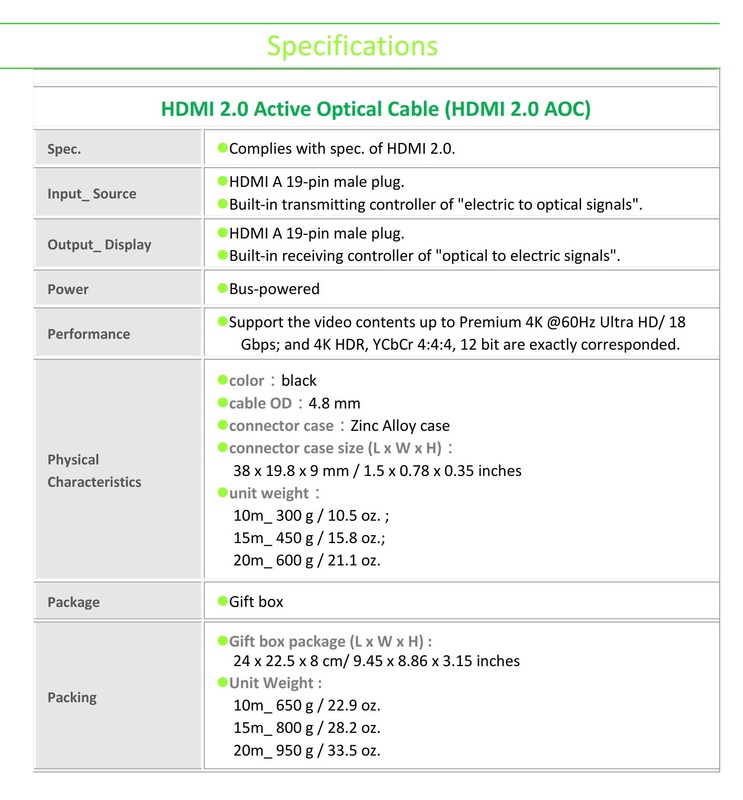 *It’s the HDMI 2.0 Premium 4K UHD specification. 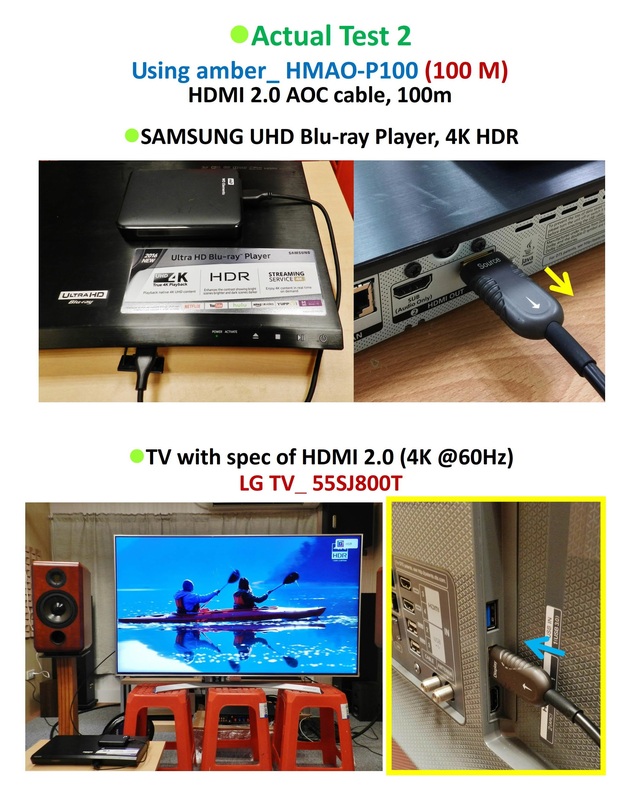 4K @ 60Hz / 18 Gbps, uncompressed video transmission. 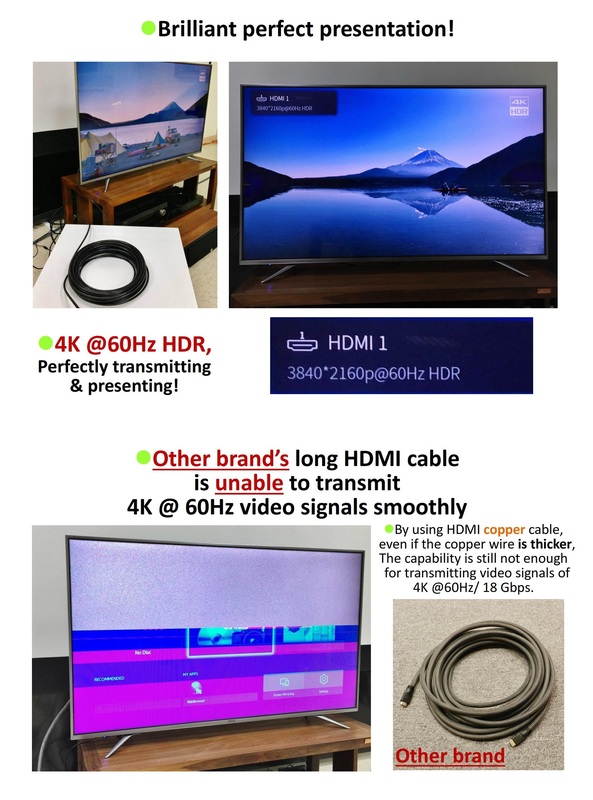 *Test passed of 100 m length HDMI 2.0 Active Optical cable, 4K @ 60Hz / 18 Gbps by many equipments & devices. High resolution transmitted & no distorted. 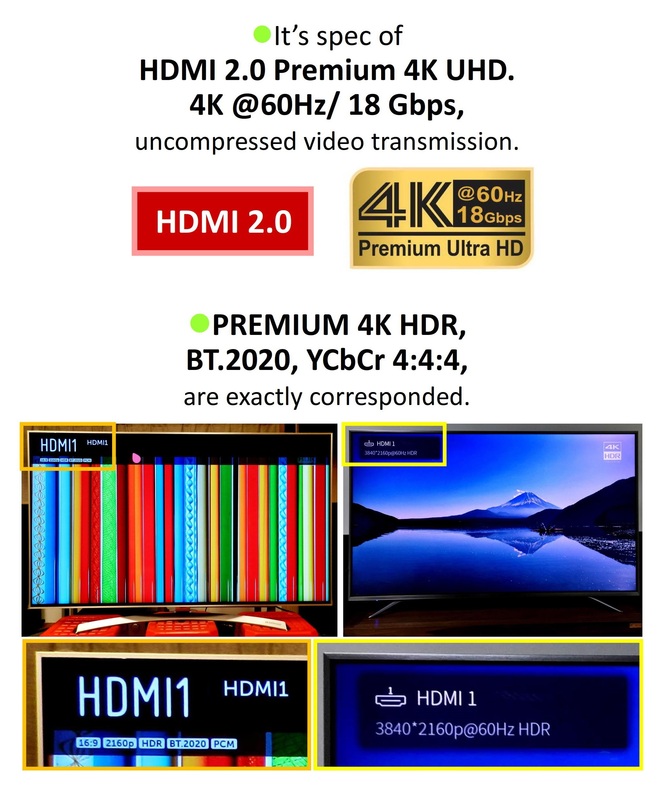 *PREMIUM 4K HDR, BT.2020, YCbCr 4: 4: 4, 12 bit are exactly corresponded. *Larger wide-angle 21: 9 theater-level screen feel. *Up to 1536 kHz audio sampling rate. 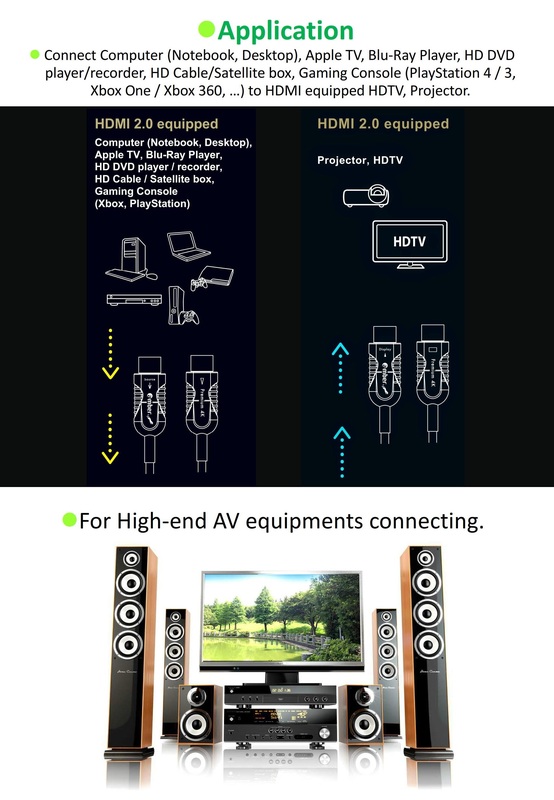 *Up to 32 audio channels. 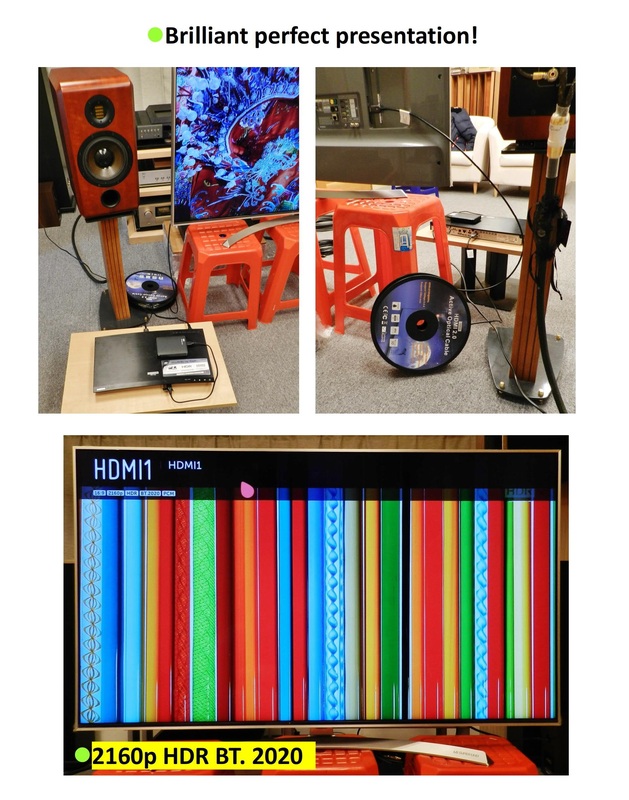 Hi-Fi lossless transmission. 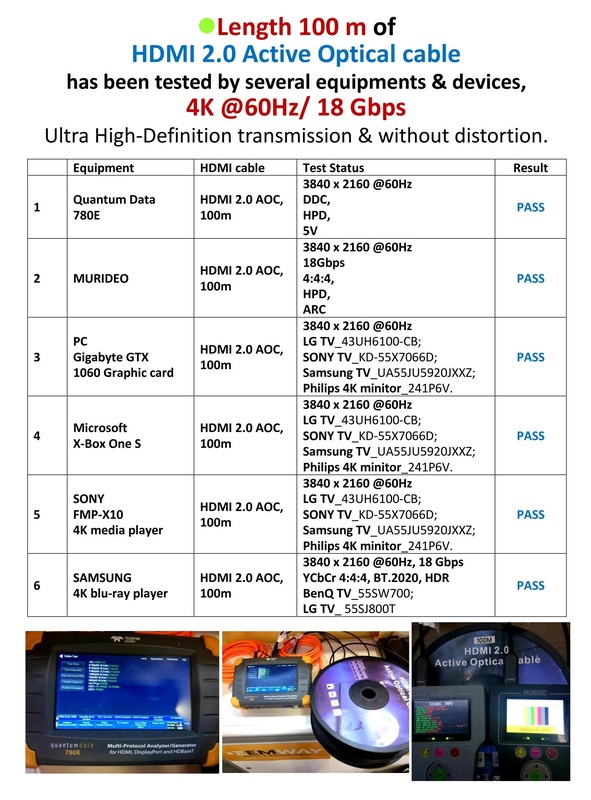 *Dolby Atmos, DTS: X, Auro-3D are exactly corresponded. 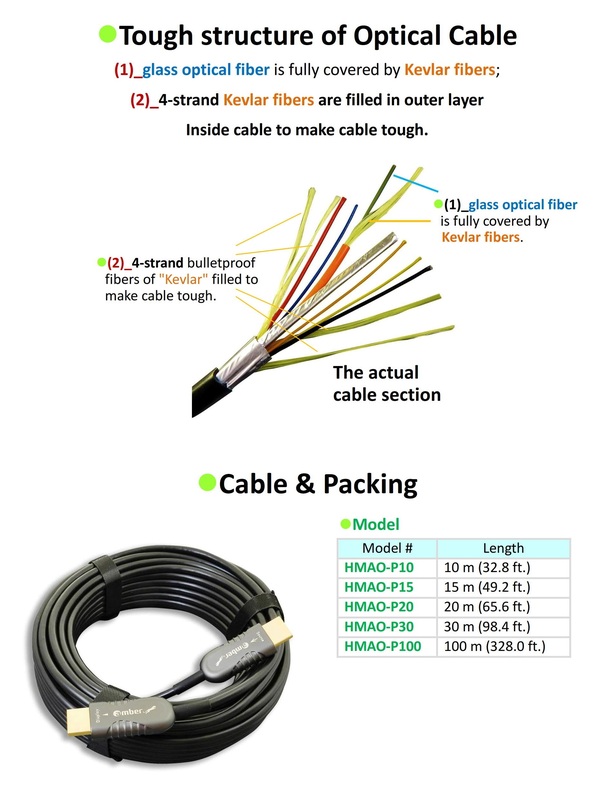 *The highest grade glass optical fiber used to achieve the best lossless transmission. *Plug & Play. 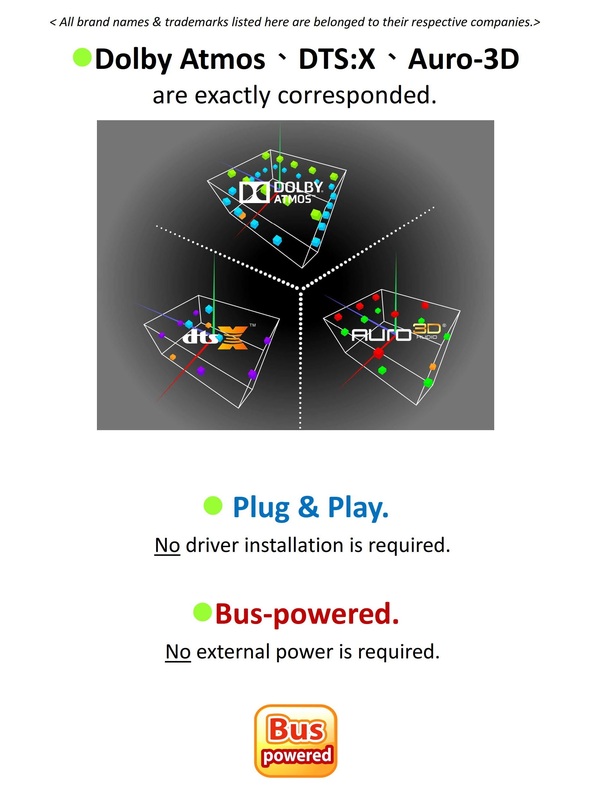 No driver installation is required. *Bus-powered. No external power is required. 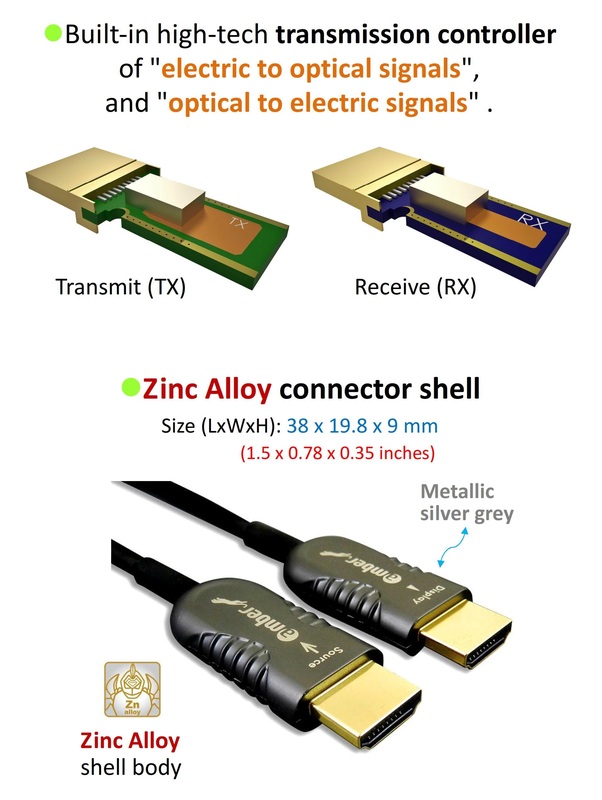 *High quality Zinc Alloy shell body. 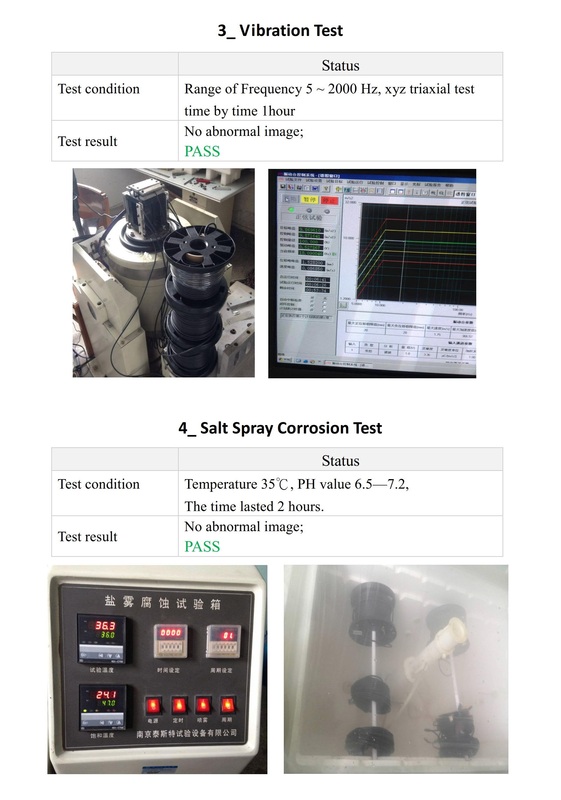 * High-quality materials & high-quality assembly. 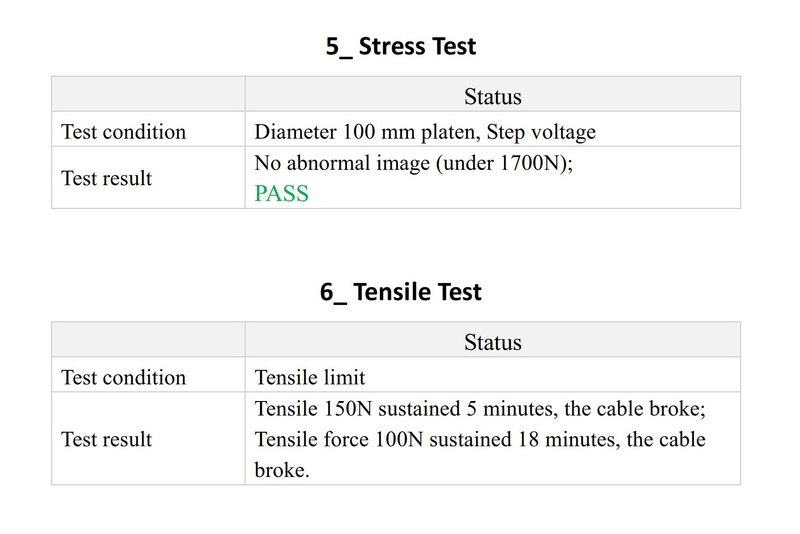 *Passed the strict reliability tests to meet the wiring requirement for the harsh environments.